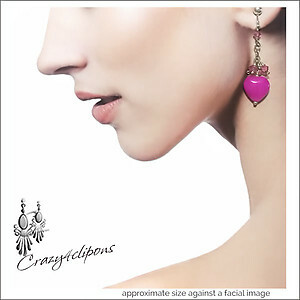 Features: Make everyday a Romantic day with these gorgeous pink jade heart clip earrings. They are accented with beautiful Swarovski bicone pink crystals . Bright & fun! 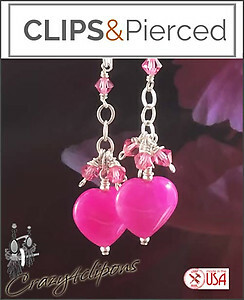 Specs: Dyed pink jade heart, Swarovski crystals, Sterling Silver Chain, Sterling Silver Filled Wire.